The Nicaraguan Tourism Board announced the selection of Partner Concepts as their U.S. representative for the travel industry. The Instituto Nicaraguense de Turismo (INTUR), headed by Minister Mario Salinas Pasos, is responsible for the global promotion of Nicaraguan tourism. The selection of Partner Concepts for marketing to the travel industry follows INTUR’s earlier selection of Murphy O’Brien as their Public Relations agency in the U.S.
INTUR has announced a strategy that is focused on the U.S. travel trade. 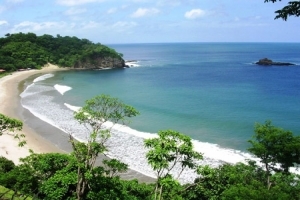 The travel trade promotion for Nicaragua will engage the services of William (Bill) Maloney, CTC, the former CEO of ASTA.